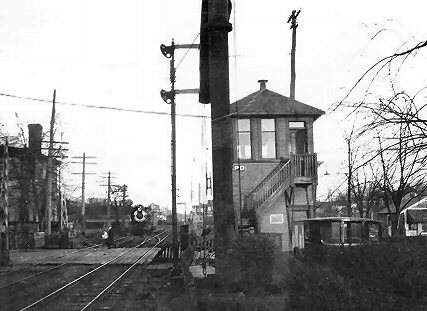 For many years prior to flashing color train order signals located on the position light mast, train crews were notified of train orders to be picked up by a system of metal order boards and colored globe lanterns. 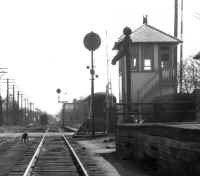 Each block station had a bracket lagged into the frame of the tower and/or depot building/block office. 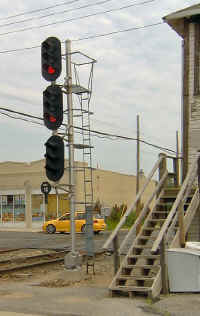 Into this bracket would be inserted a yellow train order metal board which was painted yellow on the side facing the train for which orders were to be picked up and black with a white stripe on the other side, signifying for trains approaching in that direction that the order board was not set out for them. 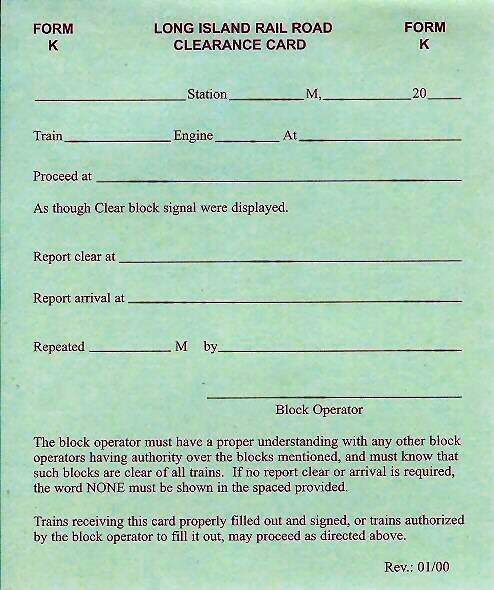 In earlier years (prior to 1927) a red board was used to indicate form 31 orders were to be picked up and, as they needed to be signed for by the conductor and engineer, they had to be distinctly different in aspect. 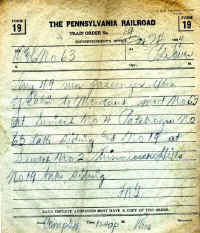 The last year of form 31 orders was 1926. After that, only yellow boards were in use for form 19 orders. 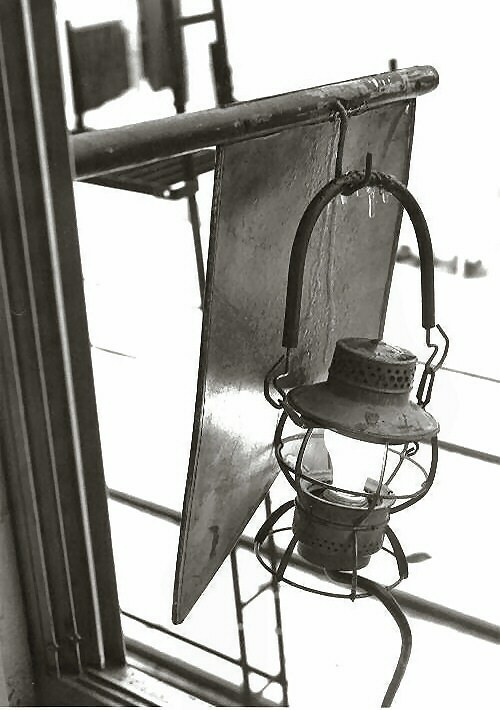 The order flag or order board was used in daylight applications and at night, the board was hung with a lantern with matching globe (yellow for form 19 orders and red for form 31 orders). 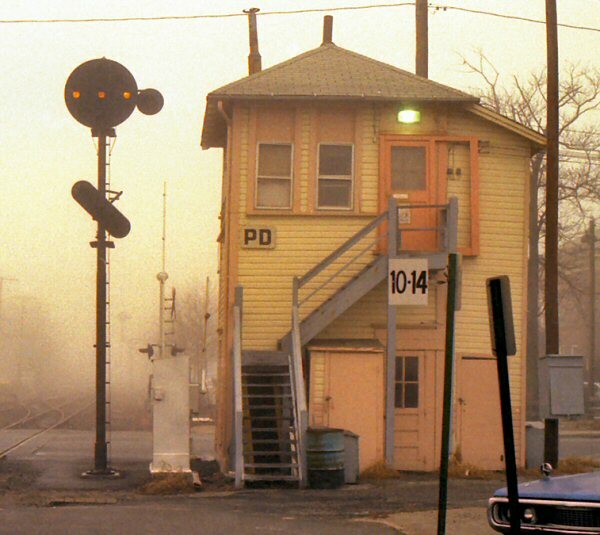 This image shows a yellow train order board with lantern hung out at PD tower in 1971. 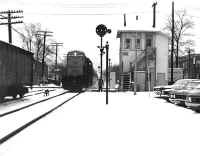 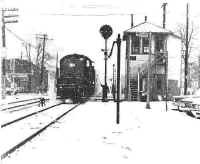 As it was a very gray, dreary, icy, wintry day, the board AND the lantern were hung to further catch the attention of the engineer / conductor of the approaching westbound train and notify them that they had orders to pick up. 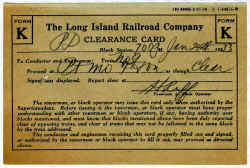 1925 PRR Book of Rules in use on the LIRR. 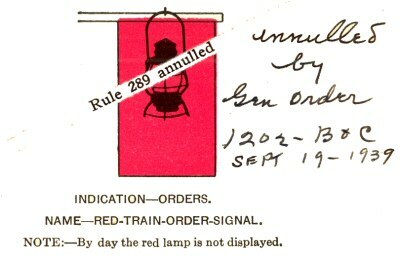 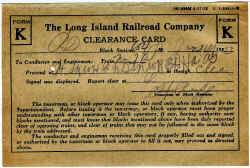 A handwritten note states that the red flag and lantern were discontinued by general order, effective September 19, 1939. 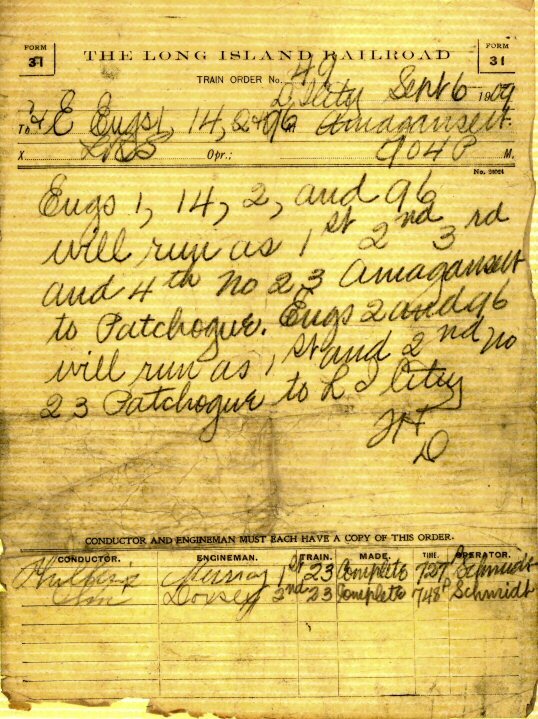 The last use of Form 31 orders was in 1926 and thus red was discontinued. It appears that it took 13 years for the railroad to scratch this signal indication from their rule books. The only aspects displayed at the low home eastward from the North Track/North Siding were stop signal and restricting. 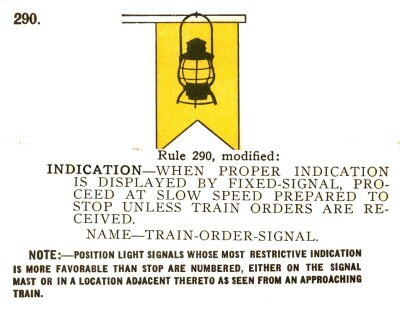 Rule 290 is NOT a train order indication, it is a "Restricting" signal. 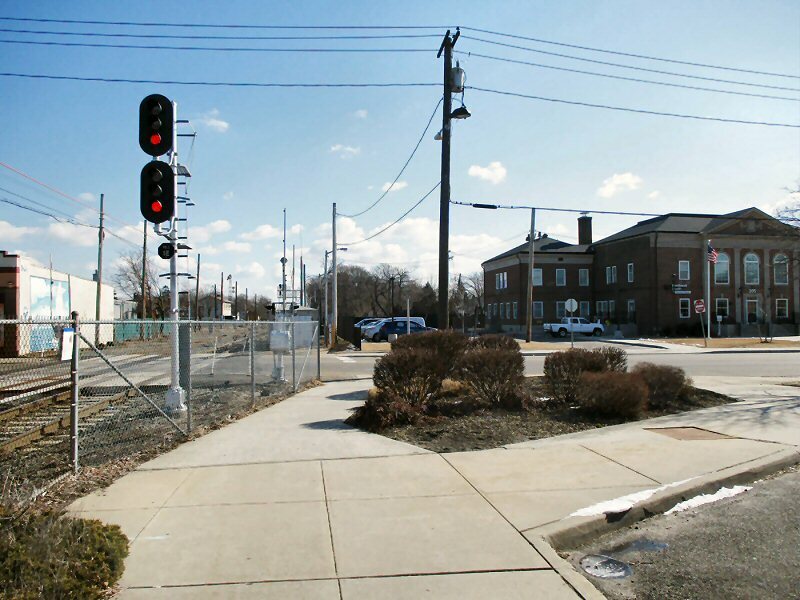 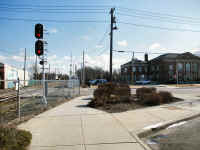 The position light signal formerly south of the main track and adjacent to the former tower could display indications to proceed either eastward on the main, or onto a diverging route into the yard east of South Ocean Avenue, in addition to a "Train Order" indication. 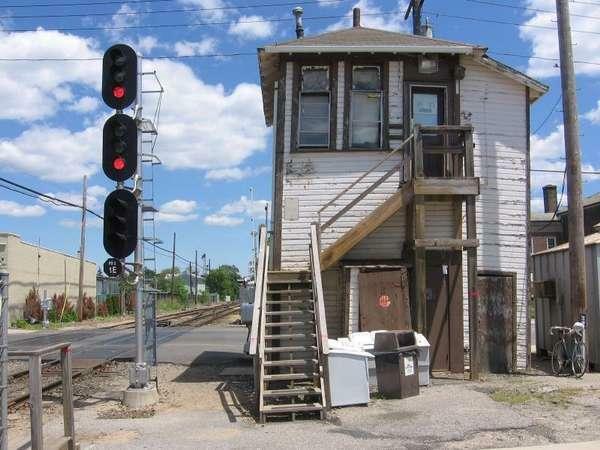 The dwarf (low home) signal that was formerly south of the North Siding controlled moves eastward from that track into the aforementioned yard, for what usually was a (and still is) a reverse move onto the main to go west from the station. 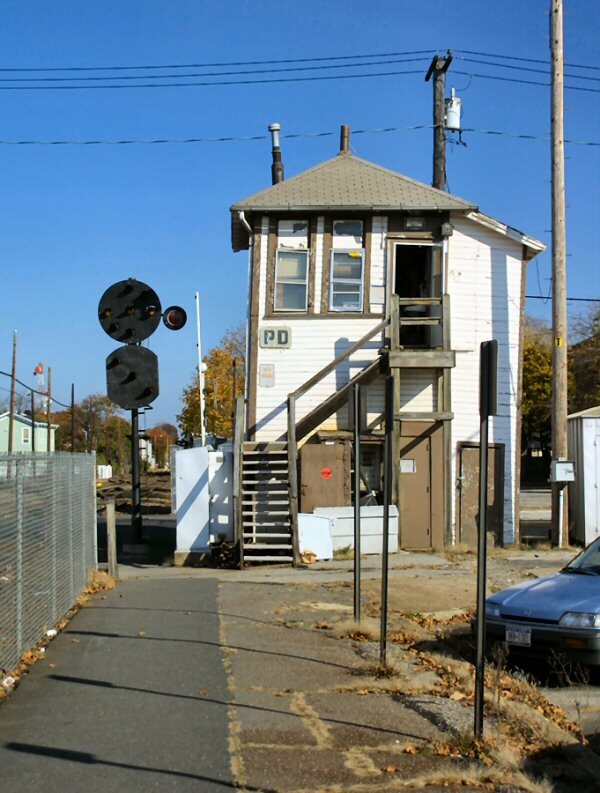 Westward, there was a cantilever signal bridge that had a position light home signal that protected the yard moves. 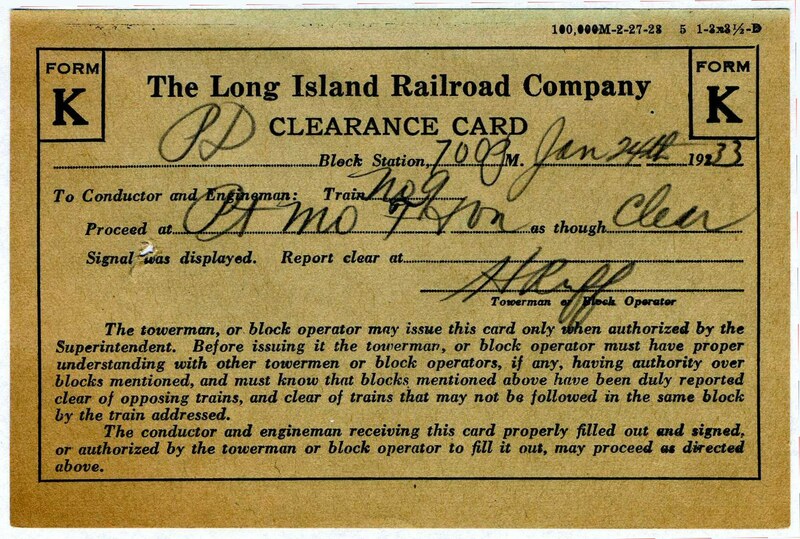 The LIRR Rules of the Operating Dept. 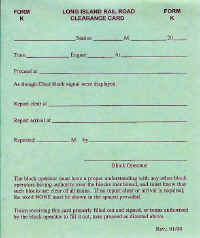 are based on the "Standard Code of Operating Rules". 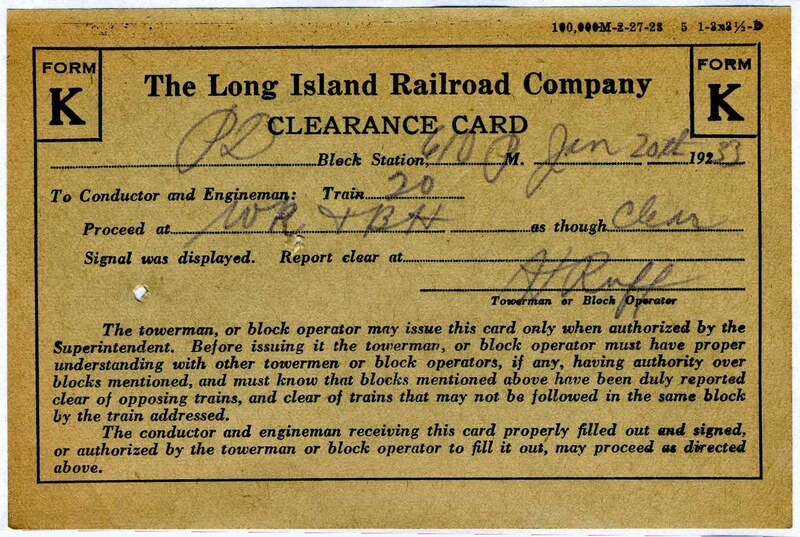 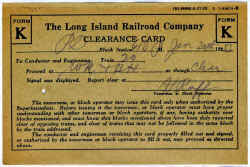 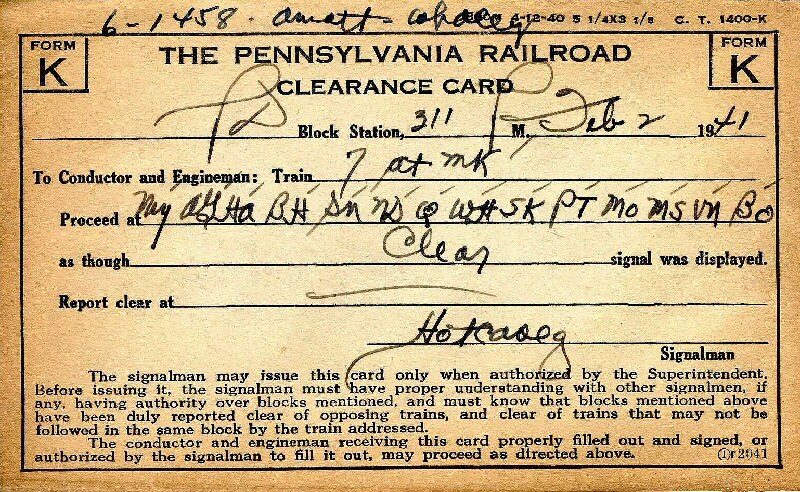 We still have superiority between trains, Train Orders, Clearance Cards, etc...probably one of the last. 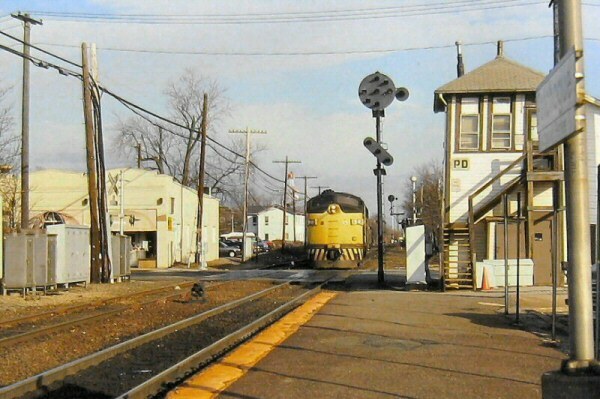 Certainly, the largest remaining example of how a railroad operates on the Standard Code 2006. 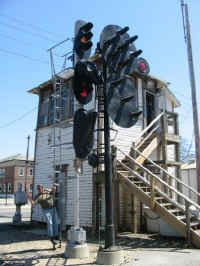 RULE 290: RESTRICTED signal indication means to proceed at Restricted Speed prepared to stop short of train, obstruction or switch not properly lined and looking out for broken rail, not exceeding 15 MPH. 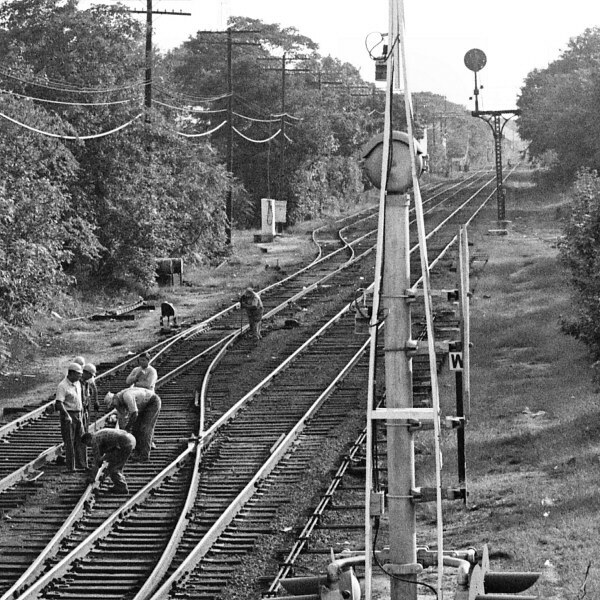 Positions on the lower head would only be approached at slow speeds, therefore the PRR decided that crews had ample time to sight the black unbacked positions. 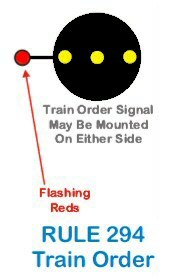 RULE: 294 TRAIN ORDER signal means to pick up orders when flashing red. orders to be pick up, the signal is cleared to show Approach as the train entered the station to get the orders. 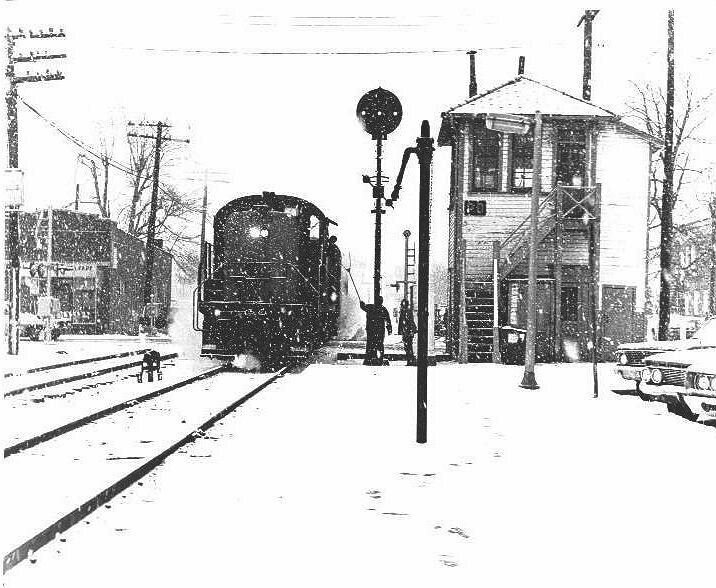 PD had two MBS (Manual Block Signal) signals at the limits of PD, the east showed the block to BLS BO (Bellport), the west showed the block to Y Block station. 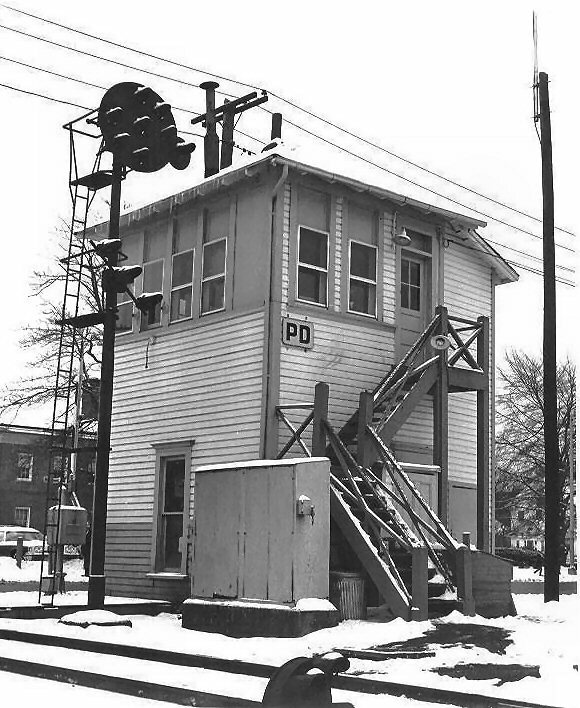 The signal on the right is the Manual Block Signal to "Y" Block station, and the 2 headed signal on the left is the west limit of PD. 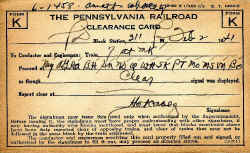 Back then MS (aka JJD) was controlled by PD. 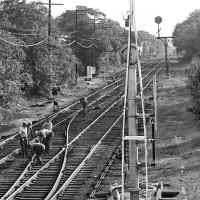 JJD were the initials of a past LIRR President (2003-2006), James J. Dermody, that controlled the siding at MS was named for him in the '90's. 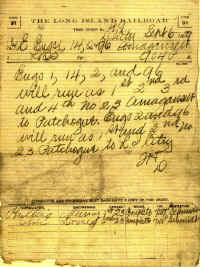 This order was copied on October 24, 1929 at "PD" tower in Patchogue. 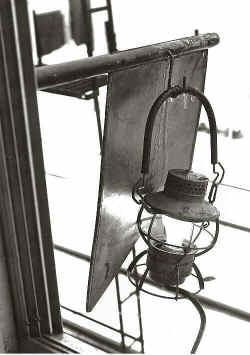 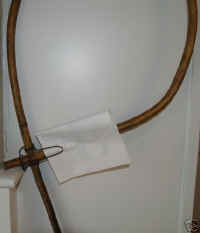 There will be flimsies as well as carbon-coated-back forms in use during these years. 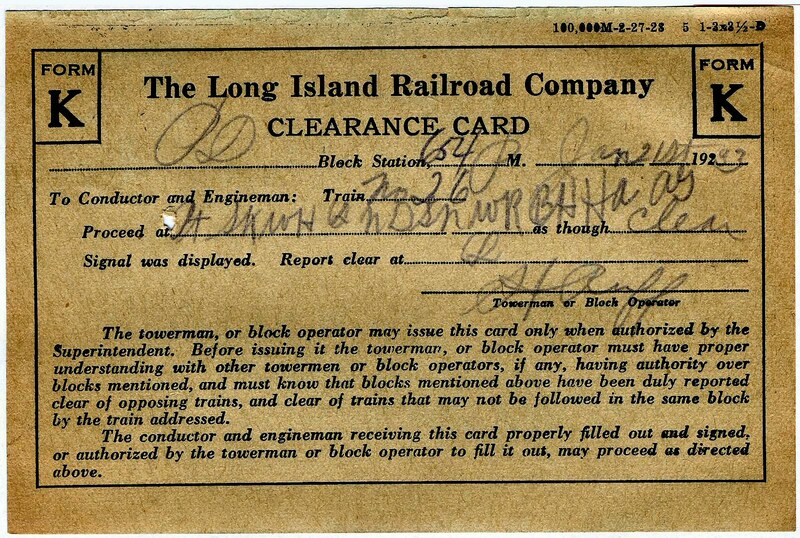 This order was copied by block operator Rees and again, the initials of F. R. G. represented Super Felix R. Gerard. 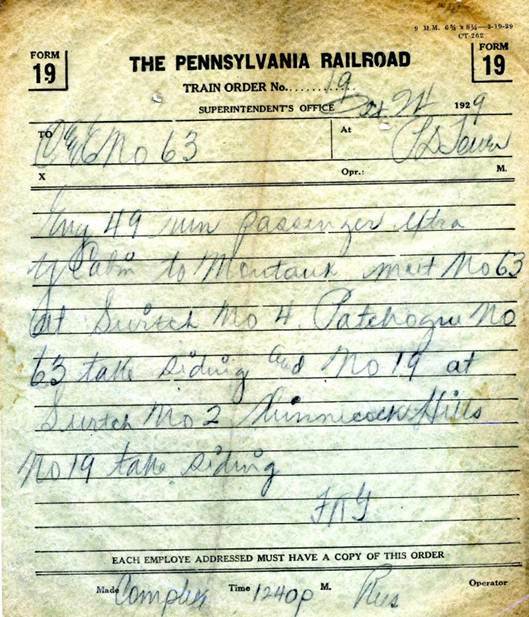 Train #63 to whose crew the order was addressed, was the Patchogue-Babylon "Scoot". 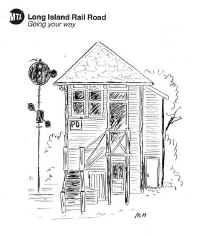 The block station identified in the order as "Y" was the block office cabin at the end of double track east of the station in Sayville. 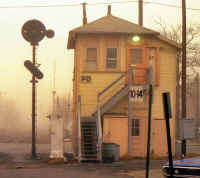 The smaller signal on the ground is a slow speed color light dwarf that protects the siding. 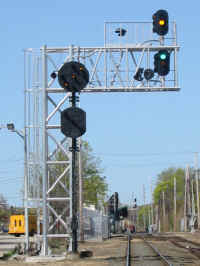 The 3-color aspect signals were installed capable of displaying a slow speed aspect, but management determined the 3 lights were too confusing to crews and only 2 light targets were sufficient for this interlocking. 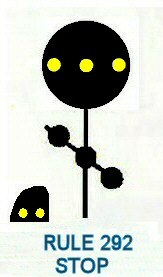 The C head (lower target) was eliminated using the A&B heads only. 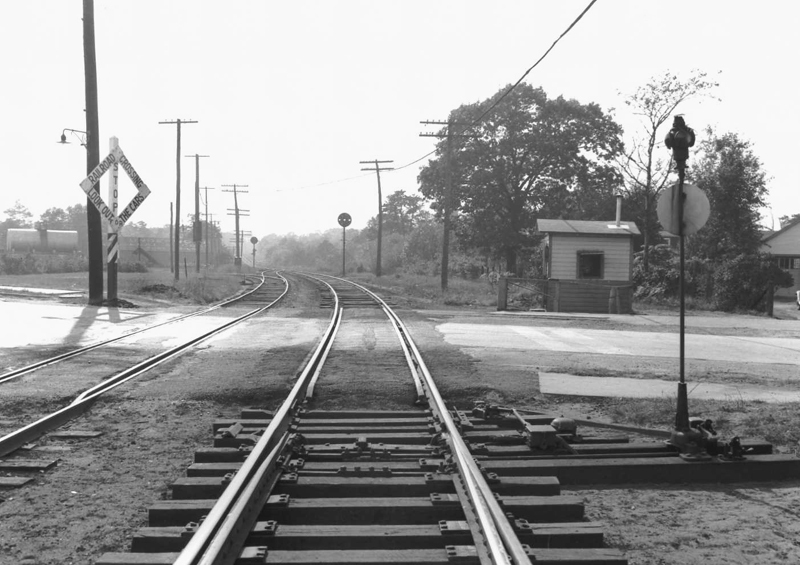 Note: "SK" still has the C head just east of Speonk station, but it’s plated over. 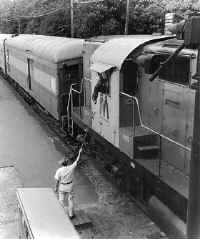 Speonk, is how ever a “yard” by definition but only on tracks 3-7 including the Wye. 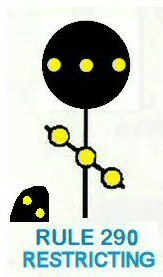 Those all have blocks and are non through move capable and between the signal and the bumper block would the the “yard” by definition. 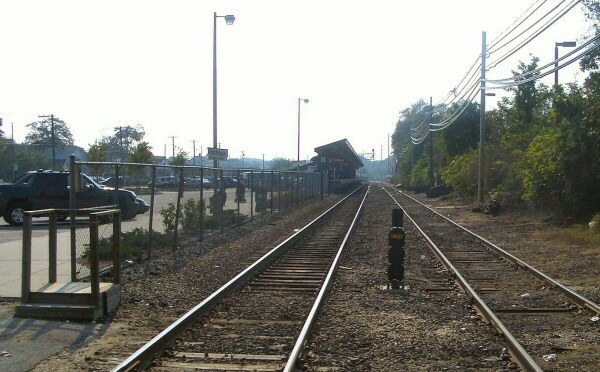 Tracks south side, (main) and 1-2 are through tracks there for are interlocking tracks and are governed by interlocking rules. The reason for the position light signal on the left side of the track is because there is no room for it on the right side of the track. 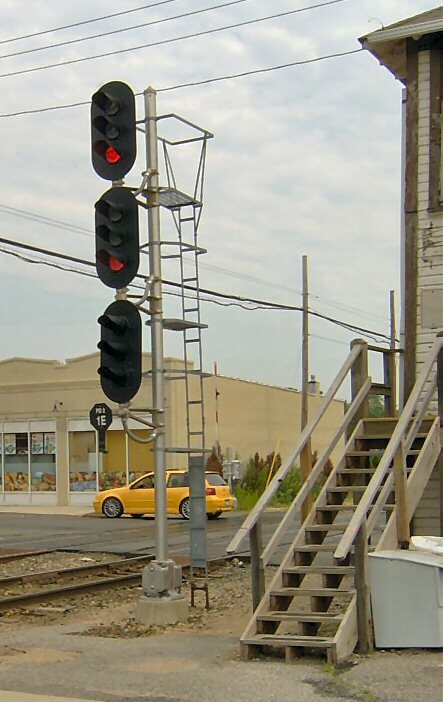 3 lights: If routed to the Fence track at PD, top red, middle red, bottom yellow(restricting)10 mph thru the crossover and the switch into the fence track. 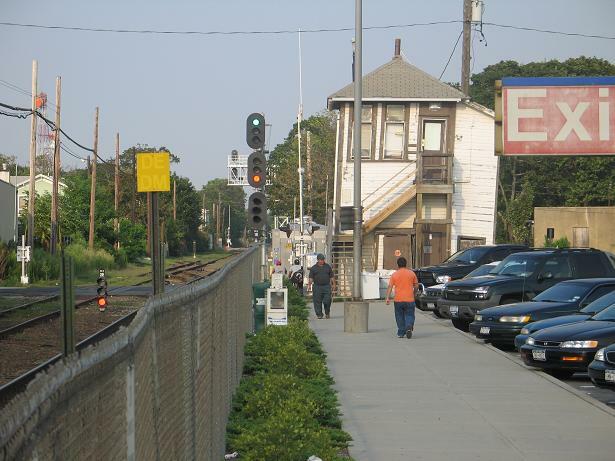 10 mph thru crossover expecting a stop signal next.